We’ve been delighted to meet wonderful people and capture weddings & love stories worldwide. These stories have touched our souls and hope will inspire yours as well. "I had the supreme honor of working with Innar in Puglia, Italy for a fabulous wedding. Innar is so detail oriented, so professional, and so caring about everything he does. He is truly passionate about everything he does and wants to give the world to both his clients and to the vendor teams he works with. He went above and beyond in every way. I sincerely hope to work with Innar again in the near future! If you are considering his services, do not hesitate to book him." We’re a husband & wife team of international wedding filmmakers capturing weddings across the Europe and worldwide. 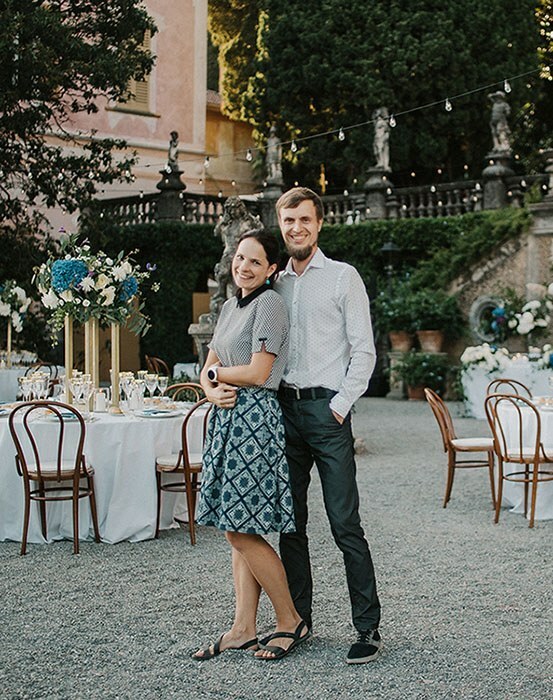 We’ve been delighted to meet wonderful people and capture weddings & love stories in Italy, USA, Sweden, Denmark, Finland and across the Baltic states. We got married in 2014 and back then we had no idea that one day we’d become husband & wife wedding filmmakers team. I need to thank my wife who urged to hire an excellent videographer for our wedding. So we did! And boy how exctiting it was to live through the emotions of the wedding day again. It was also when I decided that these are the emotions I want provide to other couples as well. We really think that the wedding video is the best possible gift for any couple. Capturing weddings is not just our job, it’s our passion. We want every film to be unique and tell a story whether it takes place here in Estonia or at any destination worldwide. Our work has received recognition in LoveStoriesTV, The Worldwide Event Videographers Association and we’ve been nominated for the Wedding Videographer of the Year in Estonia in 2017 and 2016. Few years back we couldn’t have imagined to travel the world and capture wedding together as a husband and wife wedding videographer team. But here we are and lovin’ it! Innar is simply amazing at what he does! We did a lot of research before deciding to have him capture our wedding day. We knew he is great and had high hopes, but he COMPLETELY exceeded our expectations! He is very thorough and detailed, he listens and sincerely cares. He asks the right questions to truly understand the couple- their story and what is important for them. He is extremely responsive and helpful! Thank you for your passion for your work! It surely shows in your masterpieces! Absolutely incredible work! We had such a fantastic experience working with Innar. If you are looking for someone talented, professional and a delight to work with then please consider working with Innar!! It was a great honor having Innar Hunt as our wedding videographer. He had awesome ideas throughout the whole day and he was working very fast and effectively, we didn’t have to worry about a thing. We just recently received our wedding videos and we were so pleased to see how Innar managed to capture the whole day so beautifully and truthfully. 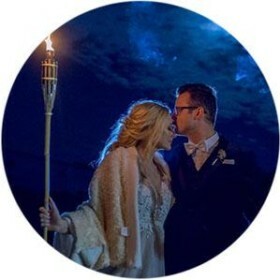 Both of our videos were edited with a great taste, and we are so happy to have those as a memory from our special day. Innar Hunt, you are the best! And it was definitely one of the best decisions to trust you the video of our wedding day. It’s so hard to describe our big respect and admiration of your job, of the results you’re giving to people, of the memories and its quality, which will remain in families’ collection for all life. Thank you for each detail, for each minute spent on creating the video, thank you of being there with us, thank you for being such a great person – it was a reaaal pleasure to meet you, to work with you! We are very happy that we chose Innar as our wedding videographer. He was very professional and easy to work with from day one and made us feel calm. The wedding film was truly amazing and all our family and friends commented on how beautiful it was. He manage to incorporate our vows beatifully although they were in Swedish! All the moments, the details and the environment were captured wonderfully and we can only give Innar our warmest recommendations. 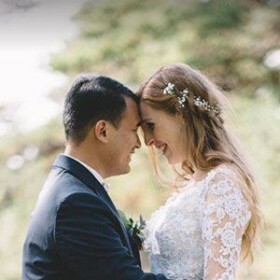 Thank you for flying in to Stockholm from Tallinn to capture the happiest day of our lives! We are so pleased we chose Innar to be our videographer on our wedding day. He was very easy to get on with right from the beginning. Him and his wife Nele were both brilliant on the day. Very professional, calming and insightful and made us feel at ease. The finished wedding video and film were definitely worth the wait and we are so happy with them. Everyone who’s seen it has commented too how professional and beautiful it looks. The colours, the angles, the moments captured were wonderful. Such a great memory forever! In addition to it all Innar and Nele are both lovely people to be around and we enjoyed having you celebrate with us. 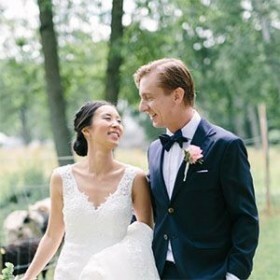 We’ve collected answers to some of the most frequently asked questions by our couples. It’s safe to say our bags are always packed and we are looking forward to capturing next great adventure anywhere in the world. Depending on the wedding we can capture it together with Nele or I can also come alone. We always arrive to destination wedding the day before the wedding to learn the location and capture the scenery so we could incorporate that authentic feeling into wedding film. For most destination weddings we encourage having the welcome dinner filmed as well providing us relaxed moments outside of the wedding day that you can enjoy in your wedding film. Another fun idea is to have a catch up for few hours the day before or after the wedding and do a short video shoot in the surrounding area. You’ll can have some photos of this shoot as freebies from us as well! Who will film and edit my wedding? When you book Innar Hunt Films to capture your wedding you can be sure that both filming and editing will be performed exclusively by ourselves. I will personally film and edit of all our films and my wife Nele is assisting me at the wedding day, though sometimes I also capture weddings alone. So unlike with several companies that sub-contract their shooting or editing, when you hire Innar Hunt Films, you get Innar Hunt Films. When and how do we receive the wedding film? Because we put a lot of effort into each wedding film and edit all the material ourselves, we ask you to be patient with the delivery. It can take from 3-6 months to deliver your wedding film, depending on the schedule and time of the wedding. We will of course, agree on delivery time with you beforehand. 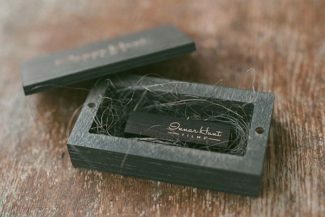 We will send the film to you both with a private online link that you can later share, as well on custom-made wooden USB drive. Hom much does the wedding video cost? We don’t have fixed price list, as the final price depends on the date, location and complexity of the wedding. Capturing a wedding in Estonia starts from around 1400 euros and cost for filming destination wedding starts from around 1900 euros (including travel and accomodation). You don’t need to pay full amount before the wedding. Booking will be confirmed after signing the contract and with pre-payment (around 40% of the cost). Rest of the cost can be paid after the wedding. There is plenty of time for that, as it is just important that second part is paid before the delivery of the video(s). Please get in touch with us, so we could get to know each other and discuss your wedding day or elopement anywhere in the world.